When someone is charged with DUI involving alcohol in Los Angeles with a measurable blood alcohol content of 0.08 percent or higher, that person is almost always charged with driving under the influence under California Vehicle Code Section 23152(a) VC and driving with a blood-alcohol content of 0.08 or higher in violation of California Vehicle Code Section 23152(b) VC. Prosecutors may have an easier time proving a DUI case under Vehicle Code 23152(b) VC, as they do not have to prove that a defendant was under the influence. Los Angeles DUI charges under California Vehicle Code Section 23152(b) VC are not filed where the driver refused testing, was under the influence of drugs (and not alcohol) or did not have a BAC of 0.08 or higher. 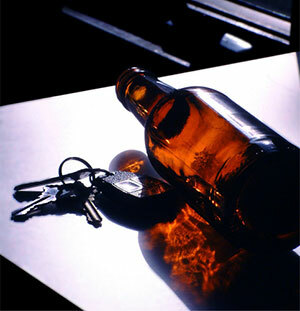 When the defendant drove, his or her blood alcohol level was 0.08 percent or more by weight. A law enforcement officer must have probable cause to justify the stop of any vehicle. This means that the stop must be based on an actual violation of the law that the officer observes, and not based on a suspicion that the driver is likely intoxicated. When a law enforcement officer initiates a Los Angele DUI stop, the officer will be particularly watchful for symptoms of intoxication that the driver may show. If the officer suspects the driver may be intoxicated, he or she will request that the driver complete a series of field sobriety tests designed to test a driver's coordination and motor skills. An officer will also typically ask the driver to provide a breath sample using a portable PAS device, which will reveal the driver's BAC. Based on these results, the officer can arrest the driver on suspicion of DUI and have them submit to further breath or blood chemical testing at the police station or hospital. If the results of this test show a blood alcohol level of 0.08 or higher, the driver will be cited for driving with a BAC of 0.08 or higher and will be subsequently charged with this offense as part of the DUI Process. A man is driving the speed limit and not committing any traffic violations, however he is stopped by the CHP because of his window tints, which are too dark. The officer smells alcohol on the man's breath and asks the man to perform field sobriety tests, which the man does. Based on his performance on the tests, the officer arrests this man and takes him to the police station, where the results of his breath alcohol test show his BAC is 0.09 percent. This man could be charged with a Los Angeles DUI offense pursuant to California Vehicle Code Section 23152(b) VC even though he did not drive in a manner consistent with being "under the influence." The fact that his BAC was above 0.08 would be enough to charge him with this offense. There are several potential ways to fight an allegation of driving with a BAC of 0.08 or higher in violation of California Vehicle Code Section 23152(b). If the officer who initially stopped the vehicle lacked probable cause to justify the stop, any resulting evidence from that stop (including the DUI breath or blood results) would be suppressed and the prosecutor would be unable to go forward with his or her case. In some cases, an effective Los Angeles DUI Attorney may be able to show prosecutors that because of the way the human body absorbs alcohol, the defendant's BAC was under 0.08 at the time of driving and only tested higher due to a rising blood alcohol level. In addition, there may be several ways to challenge the results of chemical testing, especially where the blood samples were not handled correctly or in cases where breath testing devices were not calibrated or maintained properly. A conviction for driving with a BAC of .08 percent or higher is treated the same as a driving under the influence conviction under California Vehicle Code Section 23152(a) VC, with identical penalties and consequences. Unless the defendant is facing his or her fourth (or greater) DUI offense within a ten year period, driving with a blood-alcohol content of 0.08 or higher is a misdemeanor level offense. In these instances, the defendant may be sentenced to jail, alcohol programming class of varying lengths, community service and/or labor, court fines, restitution where there was an accident, and any other conditions of probation. There may be additional penalties assessed for defendants with a blood alcohol content of .15 or higher. For felony-level DUI offenses in Los Angeles, the defendant can be sentenced to up to three years in prison. Regardless of a DUI conviction, the California DMV will issue a driver’s license suspension for drivers who are caught driving with a BAC of 0.08 or above. When a person is initially arrested for DUI in Los Angeles, he or she will be served with a notice of impending driver’s license suspension. If the driver wants to contest that hearing, he or she only has ten days to file a hearing request with the DMV. Failure to do this will result in an automatic suspension. The length of the suspension is typically four months for first time offenders, but can be longer for those with prior DUI-related offenses. If you have been charged with a Los Angeles DUI offense it is very important to consult with an experienced Los Angeles DUI Attorney as soon as possible. There are tight deadlines in every DUI case, especially in regard to driver’s licenses, and retaining an attorney early on can make a significant difference. As a former Deputy District Attorney with over 14 years of prosecutorial experience, Los Angeles DUI Attorney Michael Kraut is highly effective at fighting all aspects of DUI charges. Mr. Kraut understands the consequences a DUI conviction can carry and works hard to ensure his clients receive the best representation possible. For more information about driving with a blood alcohol content of 0.08 percent or higher, and to schedule your free consultation, contact Los Angeles DUI Attorney Michael Kraut at the Kraut Law Group located at 6255 Sunset Boulevard, Suite 1480, Los Angeles, CA 90028. Mr. Kraut can be reached 24/7 at 888-334-6344 or 323-464-6453.